Police are appealing for witnesses and information following the report of an assault in the Antrim Road area of Belfast this morning, Friday February 9. 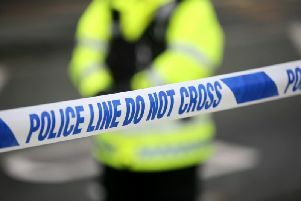 The Times understands that shortly after midnight, police received a report that a 23-year-old man had received a stab wound to his abdomen. He was taken to hospital for treatment to his injuries, which are not believed to be life threatening. A 22-year-old female who was with the man sustained a small cut to her face. Inspector Paul Noble is appealing to anyone who may have witnessed this incident to contact detectives at Musgrave Criminal Investigation Division on the non-emergency number 101, quoting reference 5 of 09/02/18. Alternatively, information can also be provided to the independent charity Crimestoppers on 0800 555 111, which is 100 per cent anonymous and gives people the power to speak up and stop crime.